Unlike business and government, most not-for-profit organisations are still at "the beginning of the beginning" in their use of data to improve their decision-making and help them to grow. 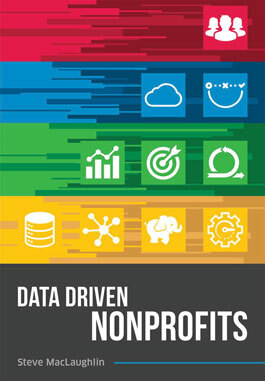 That assertion kicks off this book by Steve MacLaughlin, an American data specialist, who goes on to indicate how charities can convert the information available to them about donors and prospects into strategies to boost their fundraising. Although much of the discussion relates to US organisations, his case studies include the RNIB, Worldwide Cancer Research and the Scottish Catholic International Aid Fund, which he says have all started to improve their use of data. MacLaughlin argues that, used well, big data can help charities to get the right message to the right donor at the right time, using the right channels. In this sense, he contends, data inserts more of the human element into fundraising rather than making it more impersonal. "Data should be a valuable asset that enriches non-profits and helps them grow," he says. "Instead, many get overwhelmed by the flood of data, fail to maintain it, or choose to ignore it altogether." MacLaughlin is director of analytics at Blackbaud, the US firm whose software for non-profits has 35,000 customers in 60 countries. He told Third Sector the book was self-funded and written at evenings and weekends, and Blackbaud had no editorial control or financial interest. He strove to avoid the perception he was advertising his firm, he said. It doesn't read like an advert. Blackbaud is cited sometimes, but he uses a wide range of sources. The book has an easy, anecdotal style and some persuasive arguments. It should be useful to anyone struggling to use data more intelligently after the batch-and-blast methods that contributed to recent fundraising scandals.